Solar panels are popular with homeowners seeking environmentally-friendly energy solutions. But the reality of choosing and installing solar panels gets a little complicated once homeowners start learning about all the options that are available. Below, we define commonly used terms in the solar industry, discuss the pros and cons of going off-grid, and answer some frequently asked questions regarding solar power. Consultation: A knowledgeable representative from a solar company will come to your home or business to assess the suitability of the site for a solar investment. Once the consultant has determined your property can support a solar energy system, you can start researching the cost of different arrays (groups of solar panels), the most suitable type of array for your property and financing options. Net excess generation (NEG): The electricity generated by a photovoltaic array beyond the needs of the home or business. In most places, NEG is sold to the local utility company. 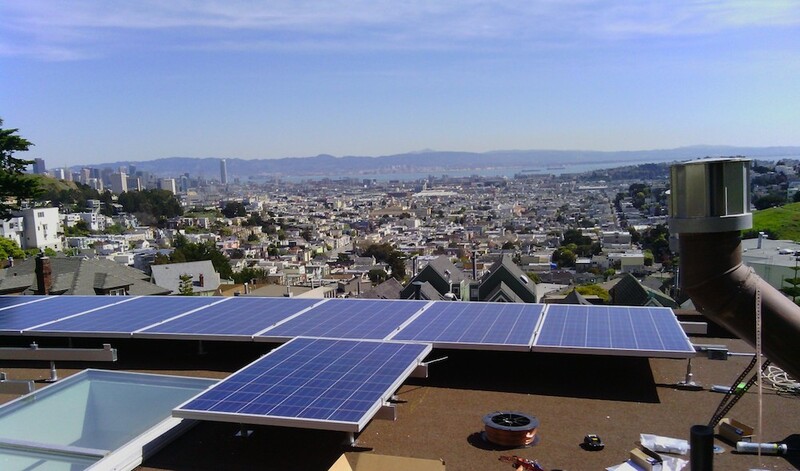 Net metering: A two-way flow of electricity between the grid and a home or business. When a home or business needs more power than its photovoltaic array is providing, electricity flows from the grid to the property. When a home or business generates more electricity than it needs, the extra electricity (NEG) flows to the grid. The home or business pays the utility company for electricity flowing into the building, while the utility company pays the home or business for electricity flowing to the grid. Solar contractor/installer: A solar contractor installs, modifies, maintains, and repairs thermal and photovoltaic solar energy systems. Solar photovoltaic: A system for converting solar radiation (sunlight) into electrical power using semiconductors. Photovoltaic cells are combined into modules, which are combined into arrays. The arrays are connected to the electrical system of a home or business. Solar thermal: While solar photovoltaic systems turn sunlight into electrical energy, solar thermal systems convert sunlight into heat energy. This heat energy is then used for heating water or fluids. Applications for solar thermal energy include water heaters, space heating systems (radiant heat) and pool heating systems. When making the transition to solar, you may consider taking your property off the electrical grid entirely. Below, we’ve listed the pros and cons of off-grid and grid-tied systems. Off-grid solar systems are powered solely with the energy generated by the system’s panels. Your home does not receive any electricity from the public utility company. Off-grid systems allow homeowners to build in remote areas where there are no power lines or there’s limited access to power utilities. Building your own system may be thousands of dollars cheaper than installing power cables that link you to the grid. You receive no electricity bills. You have access to power when grid-reliant customers face power outages, grid outages and rolling blackouts. You’ll reduce your carbon footprint and decrease your dependence on energy through more efficient use of power. You need room to store large solar batteries and a battery bank. You must closely monitor your energy usage so you don’t run out of power. Several days of inclement weather can drain the batteries. Off-grid systems can be expensive and may be ineligible for tax credits and rebates. A typical off-grid system costs twice as much as other systems per kilowatt-hour. This is due to the high costs of setup and maintenance. You won’t have access to power if weather, natural disasters, or accidents damage or destroy your solar panels or solar system. Routine maintenance (charging and replacing batteries, adding water, panel upkeep) can be expensive and time-consuming. It’s uncommon for banks to finance off-grid systems. Grid-tied systems are linked with power utilities, which enable homes to use the electricity generated by the solar systems in addition to power from the local utility company. These systems can also feed power back into the grid during times of low usage and high production. Backup power is available through the public utility company if the solar system goes down or is damaged. Any excess power the solar system generates can be sold back to the utility company. Power from the grid can be lowered or even free in the case of inclement weather or emergencies. Some systems can be designed to allow transitioning to a completely off-grid system. Homes must be located close to power lines, as grid-tied power systems require connection with the local utility company. The system will draw from this power source during times of low sunlight and to supplement the power usage. Grid-tied system installations require large roof surface areas in sunny locations for panel placement. Most grid-tied systems aren’t large enough to fully power a home, so you’ll still incur some energy costs. Owners of grid-tied systems report saving up to 50 percent on their energy bills. Q: Why should I spend money on solar energy for my home or business? A: A solar array is an investment that will pay for itself and then earn a profit in most locations in the United States. This is certainly true almost everywhere in California. Q: How do I know what kind of solar array is right for my home or business? A: It depends on what you want from your solar array and how much money you’re willing to invest. A small, passive solar thermal array is relatively inexpensive and can provide you with heat for your water and indoor air. An active solar thermal array costs more but heats and cools your home more efficiently than a passive array. Photovoltaic (PV) arrays are more expensive than solar thermal arrays, but you can use them to offset electricity consumption in your home or business and even sell excess energy to the local utility company. A Diamond Certified solar contractor can help you determine the right kind of solar array for your home or business based on your specific site, energy needs and financial situation. Q: Do I have to get off the grid to use solar power? A: No, you can stay connected to the grid to use solar power. If your solar array generates electricity, your home or business will draw power from your array first, then the grid as needed. If your array doesn’t generate as much electricity as you need, your home or business will draw from the grid. If you generate more power than needed, the excess will be sold to the power company. Q: Do I need lots of expensive batteries to have solar electric power? A: Batteries are only necessary if you want to get off the grid completely. As long as you stay connected to the grid, you don’t need batteries.